24/7 Mental Health support, 365 days a year for employees with Spectrum.Life's EAP. 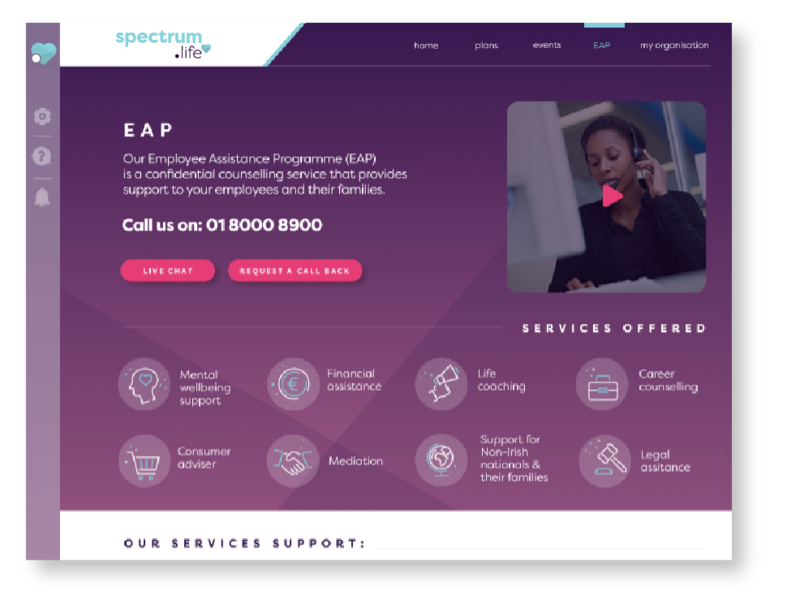 Our EAP means employees at your organisation will have access to support from qualified Mental Health professionals through a freephone number or live chat through the dedicated web or mobile app. 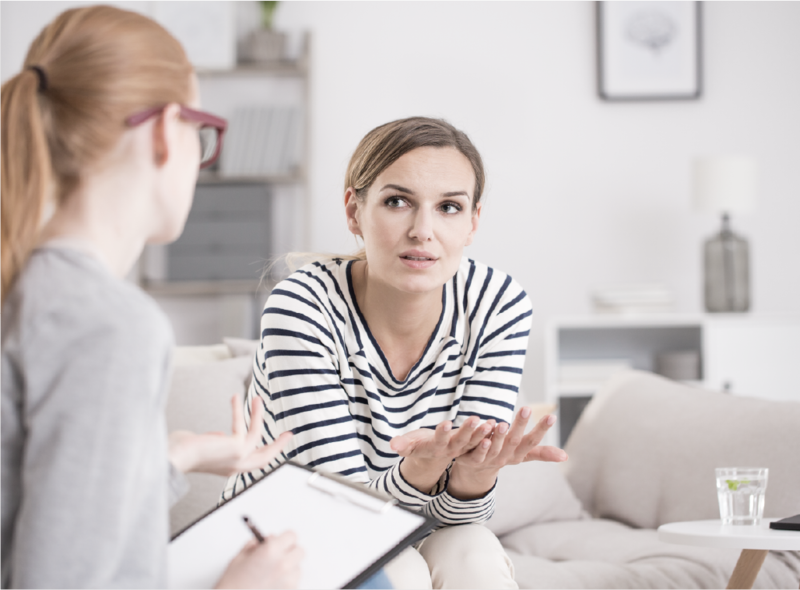 A case manager will ensure that they receive the most appropriate support and ensure they follow the right path towards healthy mental wellbeing. 24/7 EAP Mental Health Support. 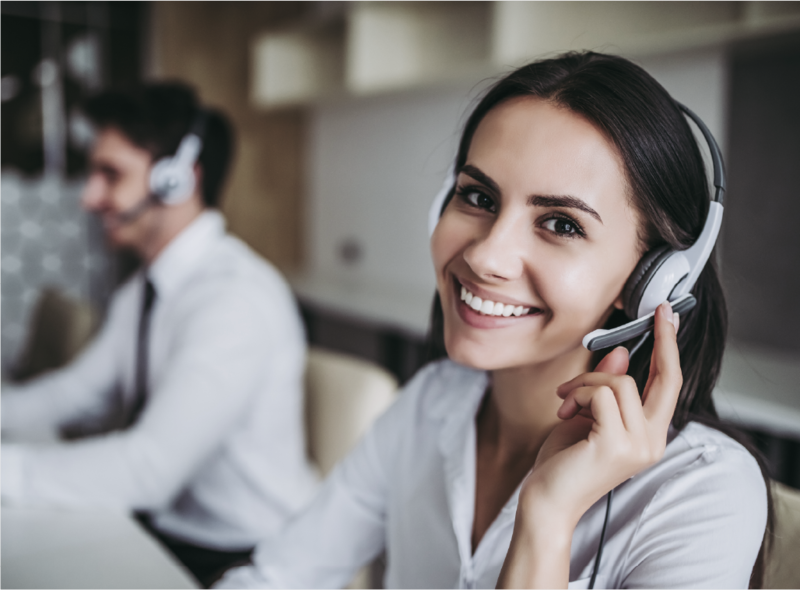 Through our Employees Assistance Programme, Employees will always feel supported with access to a qualified mental professional via phone or live chat, 24 hours a day, 7 days a week. 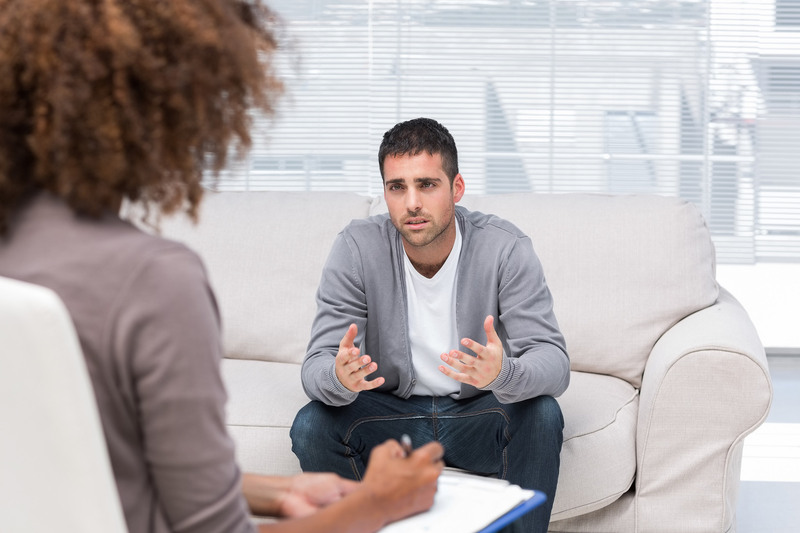 If deemed necessary by a case manager, employees can avail of 8 face-to-face counselling sessions with a qualified counsellor near their home or workplace. 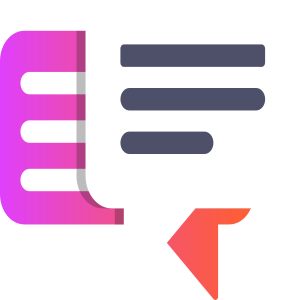 Live Chat & Digital Content. Employees can gain the knowledge and skills required to improve and maintain their mental wellbeing through hours of carefully curated content created by our mental health professionals. At a service level we pride ourselves on the highest clinical standards and as well as having our case management team made up of Mental Health professionals who are supported by our clinical governance team to ensure we are supporting our service users in the most appropriate fashion (based on best practice recommendations) is, we believe, a way in which our service stands out.